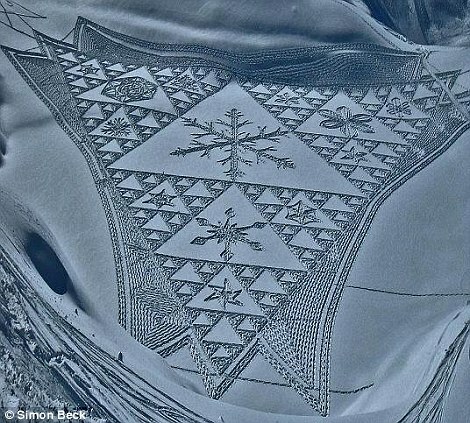 Artist Simon Beck creates these amazing pieces of snow art by walking in the snow wearing raquettes (snowshoes). 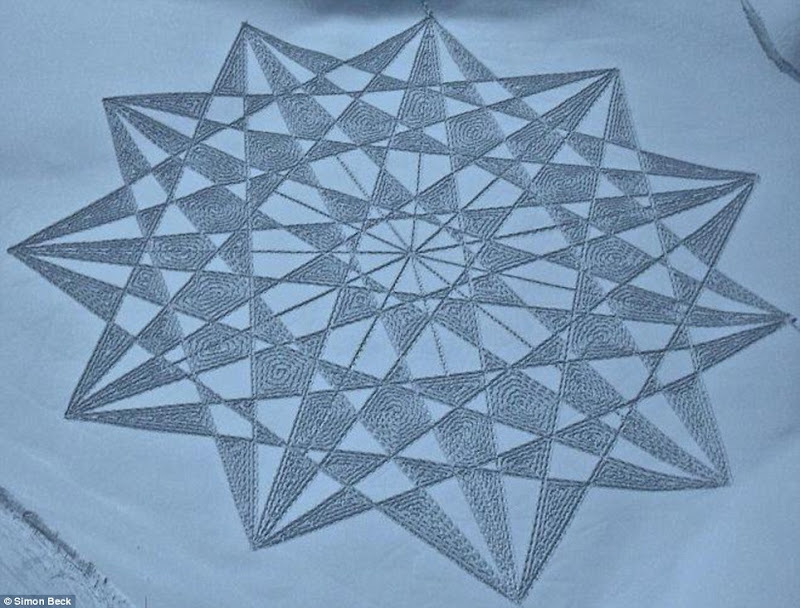 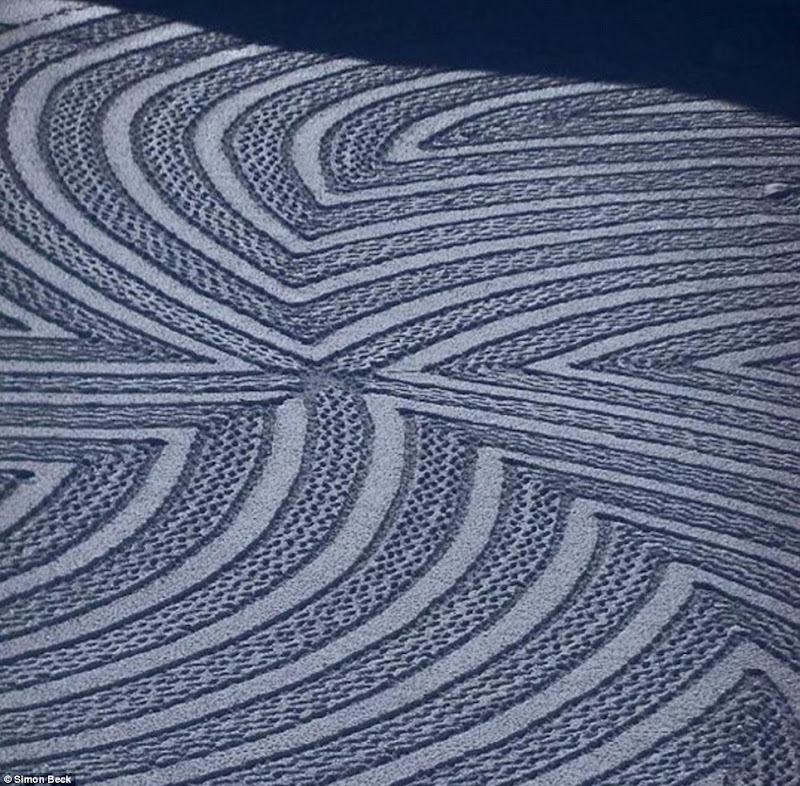 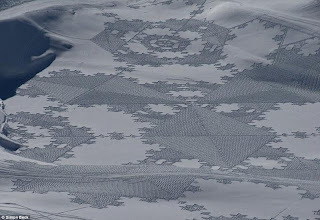 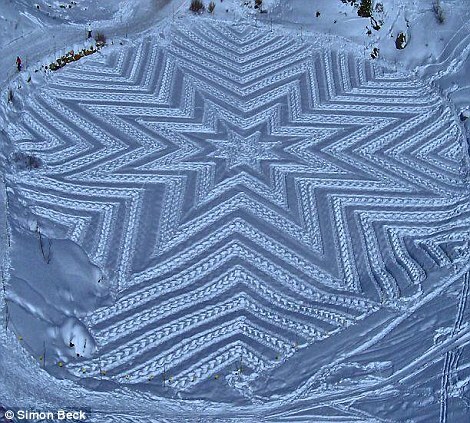 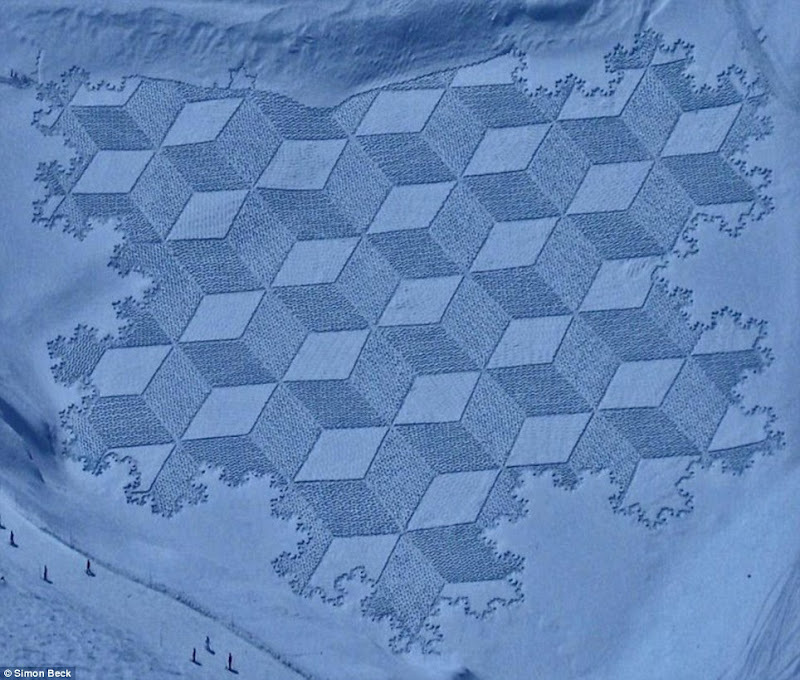 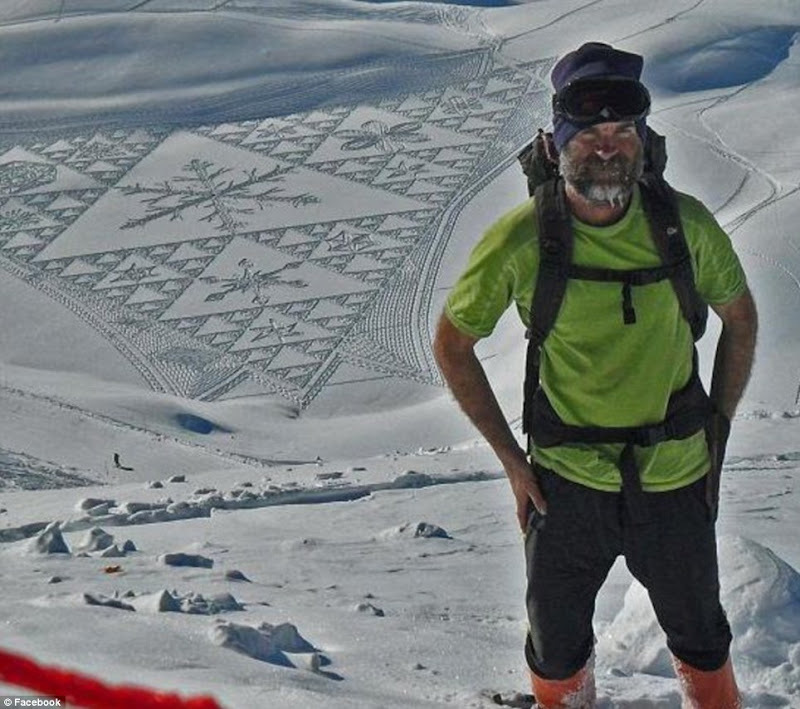 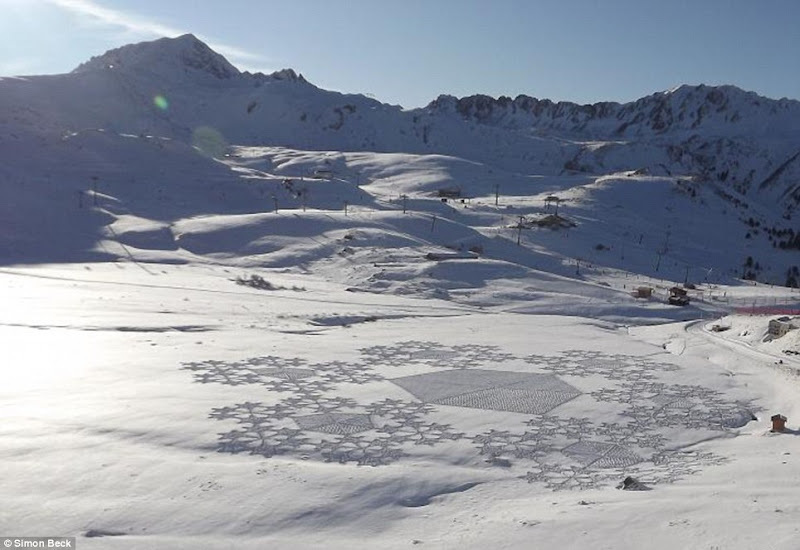 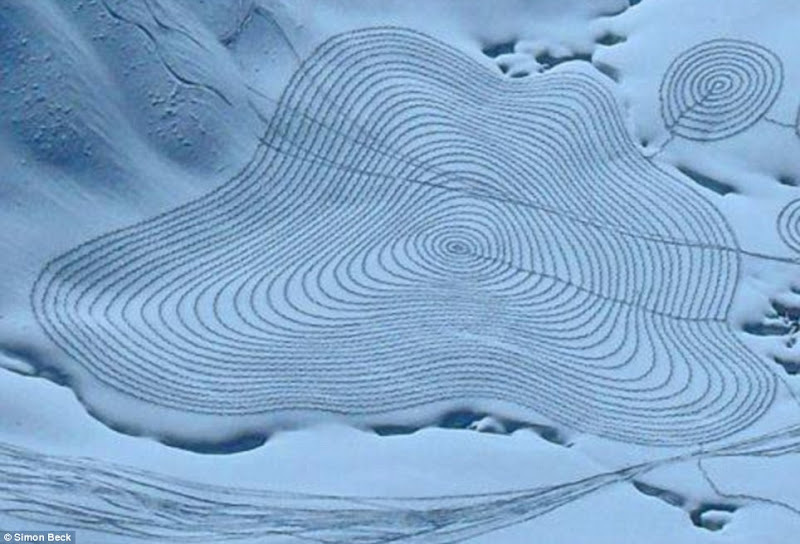 6 responses to "Simon Beck's Snow Art"
Is this kind of sport? 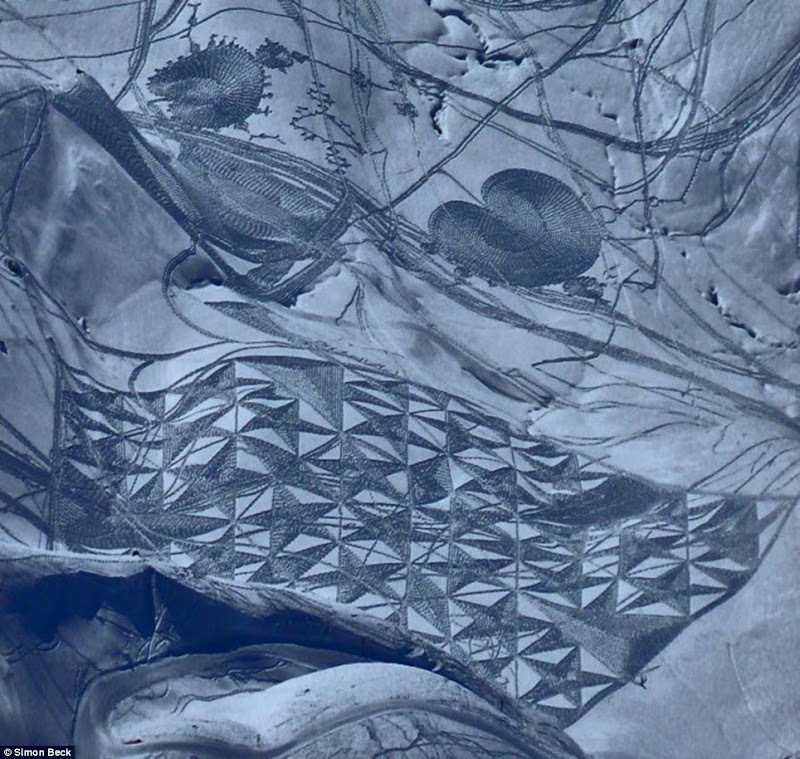 Boy.....you must be tired! 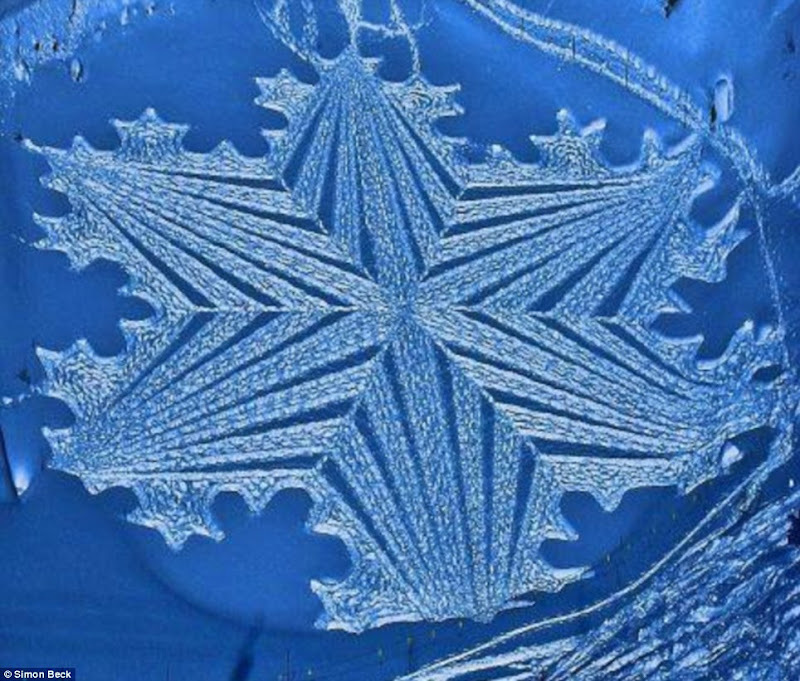 Beautiful non the less. 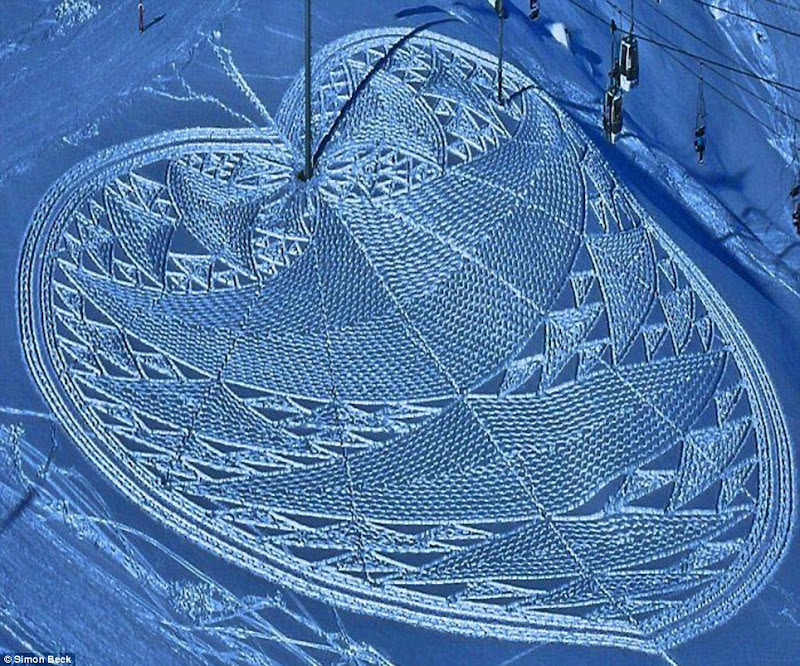 This guy must have a much more precise GPS than mine..